If someone handed me the keys to a 207 mph supercar, I know where I’d end up: jail. 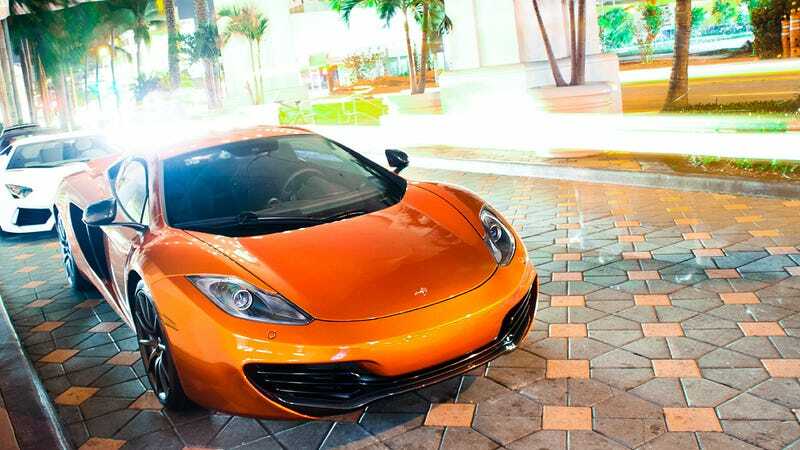 Yep, it’d be hookers and blow for me if I had an orange McLaren 12C at my disposal. You can bet I would be hanging out the window, one hand giving the middle finger, the other spooning caviar into my mouth. It wouldn’t be good business for McLaren to lend out cars for soon-to-be-imprisoned drivers, but really, that’s what we want them to do, as reader ComradeSlow pointed out when we saw EVO editor Nick Trott get to daily drive a press-fleet Macca. ...then you weren't doing it right. Ask yourself, don’t you think more car reviews should end in the national news?